Who's afraid of a plant? Sheep should be. 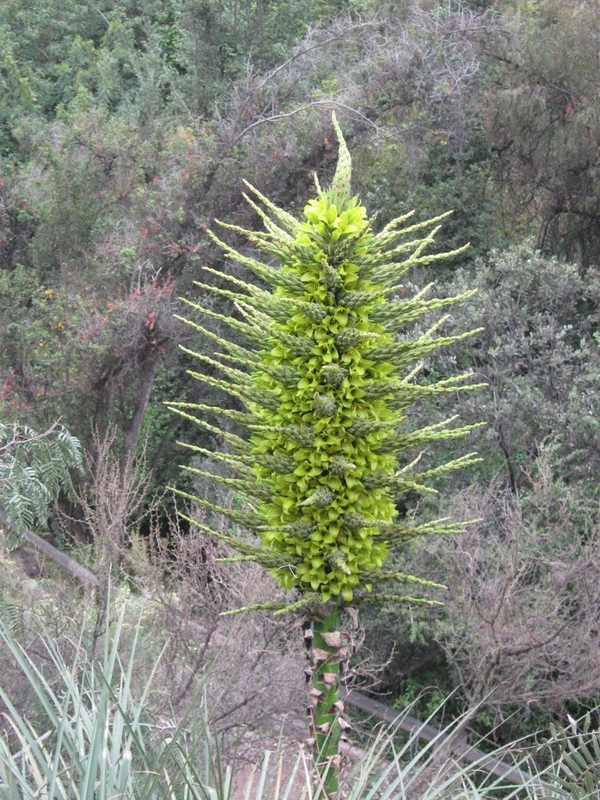 The Puya Chilensis, a species of bromeliad (and distant cousin of the pineapple), is one flora you do not want to mess with. While its 10 foot spike is nothing to scoff at, how it eats makes it an easy contender for the crown of predatory plants. Its spiky body traps sheep and other smaller animals, which it holds in place until they starve. Their decomposing bodies act as fertilizer for Puya Chilensis. At least our nightmares just got a little more green.